The College of Charleston Riley Center for Livable Communities is helping to change the mindset in South Carolina about going to college. As part of the project, known as Know2, some of the nation’s experts in mindset growth projects and creating an environment of college success will be in Charleston on July 30-31, 2014 for the Know2 Conference. The Know2 program, developed by the S.C. Higher Education Foundation, is designed to ensure all citizens know two things: being educated is essential for economic success and an improved quality of life; and being educated is possible for me, my family, and my community. Projects have already been implemented in Cherokee, Marlboro and Beaufort Counties. RELATED: Learn more about what Cherokee County is doing. 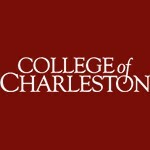 The College of Charleston Riley Center is a research institute committed to improving communities, so assisting with the Know2 program is a natural fit. RELATED: Read why the Riley Center was named for Mayor Joseph P. Riley, Jr.